Here at Disco Charlie, we want to make your life as easy as possible! These cones contain a brilliant selection of children's favourite confectionery. 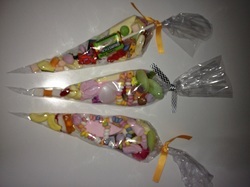 Pick and Mix bags contain a good selection of mixed confectionery. 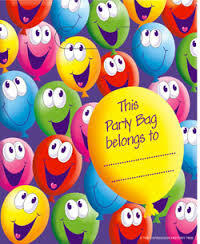 Party bags can be provided for boys or girls of any age. 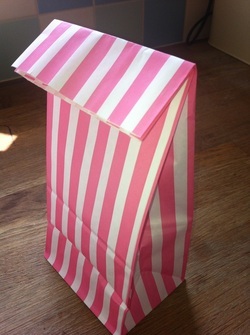 Or simply choose a standard party bag suitable for a mixed group. Each bag contains a good selection of "party bag loot"
Examples include mini toys, balloons, stickers, whistles and confectionery. Party bag designs may vary. 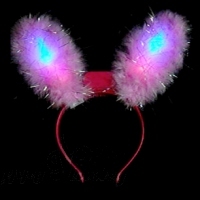 Flashing novelties can be provided for each child for just £2.00 per child. More options available - please ask what is in stock!